Trade rumors have surrounded the Cavaliers much of the early season, with center/forward Anderson Varejao one of the names mentioned most. While the Cavaliers were initially involved in trade talks centered on Houston center Omer Asik, they were no longer part of the conversation by Wednesday evening, NBA sources told FOX Sports Ohio. According to sources, the Cavs had been in discussions with the Rockets and Boston as part of a potential three-way deal that would send Asik to the Celtics. Yahoo Sports reported Atlanta was a fourth team included in the talks, but like the Cavs, the Hawks have faded out. The Celtics and Rockets are still progressing on a trade, and sources expect a decision to be made by Thursday night. Details on the Cavs’ involvement and other players potentially in the mix were sketchy, with the Rockets and Celtics the only parties continuing the discussions. Celtics forwards Jeff Green and Brandon Bass, and guard Courtney Lee, could also be involved, according to several reports. Lee addressed the rumors prior to the Celtics’ game vs. Detroit on Wednesday. "Most trades, if they go down, are not all over the media anyway," he told Boston reporters. "It’s not talked about. It just happens." Meanwhile, as of early Thursday morning, the Cavs were not deep in any trade discussions, sources said. 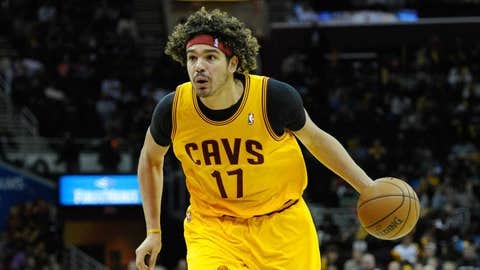 However, Cavs general manager Chris Grant reportedly has been given the green light from ownership to make a deal. Following a 4-12 start, the Cavs quickly won five of six and now stand at 9-15 overall. Trade rumors have surrounded the team much of the early season, with center/forward Anderson Varejao and Dion Waiters the two names mentioned most. But Waiters has not asked the Cavs for a trade, and has denied a Bleacher Report story saying that he wants to leave. Also, Cavs coach Mike Brown has met with both Waiters and point guard Kyrie Irving on how they can continue to move the ball, get everyone involved in the offense and just generally coexist. According to sources, both players are "all in." Brown addressed some of the trade rumors following a loss to Portland on Tuesday, when he mispronounced Asik’s name. "It’s funny to hear people report that Anderson Varejao is getting traded for Omer Asik," Brown said. "If I can’t pronounce his name, you know it ain’t going to happen. It’s mind-boggling." Sources said the Cavs were never interested in Asik, but instead entered the talks to explore the possibility of landing another wing player. The Cavs (9-15) host Milwaukee on Friday.